Leading up to the crazy Christmas & New Year period, high profile journalist and commentator Melissa Hoyer shares her top party planning and styling tips with us. I love parties, and in my line of work I receive probably around 20 invites per week. For me, it’s all about the people you are hanging out with. It could be a party of two or a party of 100, but if you’re with some fantastic people that make you laugh and feel good about yourself, it’s the best night out! The parties that I remember and really enjoy are those parties that have a sense of personality and creativity. Those are the parties that I felt privileged to have been invited to. I remember the yearly Cointreau Balls in the 90s. They were a series of extravagant parties with a secret location each year. The exclusiveness made the party exciting and mysterious. You just couldn’t do something like that nowadays thanks to social media. Worst party you’ve been to? Parties or events in my view that have been unsuccessful are those where the organisers haven’t really thought about the guest list. The guests then don’t mesh very well and conversation doesn’t flow easily, which can make the whole event feel uncomfortable and uneasy. To throw a great party, the guest list is important. Aim to have groups of people with common interests and that you know will ‘gel’ with one another. It could be a really simple venue with minimal fuss but throw in some fabulous people and it makes the party. In my opinion, parties are all about the people. What is your favourite type of entertaining? I have a very relaxed style as I like to enjoy myself with my guests more than over-plan or overthink. I’m not much of a dinner party entertainer; I simply don’t have the time or patience so I Iove inviting guests over for a casual affair around some drinks and delicious platters of food to munch on. I have a wonderful terrace, which has become the centre piece of the entire house with lots of laughs and memories collated over the years. It’s where my loved ones and I hang out and share our lives together. Since I’m not big on playing host at dinner parties, I love when guests pop in for a late afternoon party. To me there is nothing better than sitting around with a few champagnes and watching the sunset. Also, having it that time of day means it can stretch easily in to the early evening, and sometimes kick on even later if the party is going really well! In my line of work I get a lot of great invites, the ones that stand out are the ones that come with a bottle of something! For more intimate parties, I suggest sending out printed invites for that personal touch. We are on email all day and every day and I think we all still like a personal envelope delivered. An email invite tends to lose the personality of the party or the personality of the host. I know it’s a bit old school but I like that. I also love wedding invitations as you can really get a sense of the style and personality of the couple, and how they want the event to be. I always keep wedding invitations, plus they’re a lovely reminder of all my friends’ special days. I suggest inviting your guests at least three weeks in advance. Receivers of an invite should also not text their RSVP as that may get lost in translation. Therefore, hosts should give an email address for their guests to RSVP to. That way it is saved and you can go back to it when you finalise the confirmed guest list. I absolutely love themed parties! It doesn’t have to be extravagant; it could be something as simple as asking guests to wear something, like their favourite hat or sunglasses. It really gives your guests a talking point, especially for those that are a bit more reserved. Guests who are nervous at striking up a conversation will automatically start talking about the outfits or the theme of the party, which keeps the conversation going. Ideas for parties on a budget? Food does not have to be fancy for it to be a hit with guests. I don’t personally believe you always need to go over the top with smoked salmon and caviar, for example. Sometimes even the old party favourites like party pies are great to serve, depending on the type of event and your guest list. So if you don’t have a huge budget, go for simple, wholesome but really satisfying foods like vegetable sticks, dips, cheeses, fresh bread and flavoured nuts like Wonderful Pistachios. Best location for a party? Anything with a view. I think a fabulous view can be the extra guest at a party. If you’ve got no one to talk to or you don’t really know anyone, you can look at the view. Conference centres! They are very large and most events I’ve been to never fill these rooms adequately. I find them too big and very unemotional. There’s nothing worse than trying to fill up a room that potentially holds 300 and you’ve got 100 guests attending. I tend to feel a bit lost and very much exposed. What makes a good party guest? - I suggest inviting a few guests that you know are very social and outgoing so that they can help you in working the room. Favourite party guest (dead or alive)? It would have to be Michelle Obama. You see her on so many levels, as a mother, the wife of a powerful man and a business woman. I am interested with and in Michelle Obama’s layers of her life and it would be a great chat to have. Always make sure you greet each guest and say good bye as they leave. During the party, spend time with each guest, don’t monopolise any one person or group, hang with your best friend the whole night, or be holed up in the kitchen, otherwise you will be neglecting the other people who made the effort to come. Do you bring a gift for the host/should you expect to receive a gift? I always bring a bottle of wine or a small gift like a candle when I’m invited to someone’s house. Try to bring something tangible that won’t stress the host out. Flowers are lovely but sometimes the host may find it stressful to find a place for them in the middle of party preparations. If flowers are your choice then organise to send them the following day of the celebration. Is it rude to ask your guests to bring something? No I don’t think so, although of course it depends on the event. If you’re throwing a party at home, for example, it’s perfectly acceptable. Be confident to put the request in the invite but subtly rather than demanding specific numbers of things! Also, don’t rely on the items that your guests may be bringing, make sure you’re prepared with food and drinks yourself. It’s also fun sometimes to theme your party around food and drinks. You could suggest guests to bring a plate of their favourite nibbles or have a champagne party and everyone can bring their favourite drop. I think this allows guests to contribute in conversation and brings out a bit of personality from everyone. Do you have any tips for entertaining teenagers/ throwing a party for teenagers or kids? Offsite! I would advise parents of any kids from 3 years and up to have the birthday party away from the home, particularly if you have a small house with not a lot of room. Taking the kids to a fun activity like bowling or ice-skating is great fun. Or, party coordinators at themed venues like recreational parks like Luna Park in Sydney or children party centres like Lollipop Land are fantastic with the children and it just gives you peace of mind. The kids always have a ball. Tips for social media with teen parties? It takes just one text message to another friend and you could end up having 100+ rocking up at your front door. You must have a blanket ruling to not divulge any information about the party except to those that are on the guest list. What is your favourite food to serve at a party? I like to serve lighter foods and serve them on large platters. Pate, soft and hard cheeses, mixed-herb olives and gourmet dips are my favourite. The platters make serving these items so easy and they are all items that you can buy at your local grocery store. I love pistachios. They are so much fun and I find it distracts those more nervous types of guests or shy guests. The shells allow guests to play with something and it’s actually fun watching guests throw the pistachio into their mouths and usually missing! 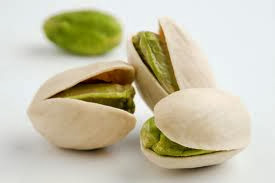 I usually have bowls with a few varieties of flavoured pistachios and by the end of the night they’re all gone! My typical platter of nibbles includes a bowl of pistachios, brie, camembert, cheddar and Jarlsberg, chili crab, guacamole, babaganoush and beetroot dips and some mixed marinated olives. Do you have any tips for last minute entertaining? Get a mini fridge and ensure it’s always stocked with a few bottles of wine. I love Rosé in the summer; it’s something about the ruby colour. A Sauvignon Blanc is always a winner and enjoyed by all. I’m not a heavy red wine drinker but keep a few bottles for guests who enjoy it. Above all, my favourite is Champagne. It’s quite affordable now in Australia so I tend to keep a few in my fridge, especially for those more personal moments of celebrations. 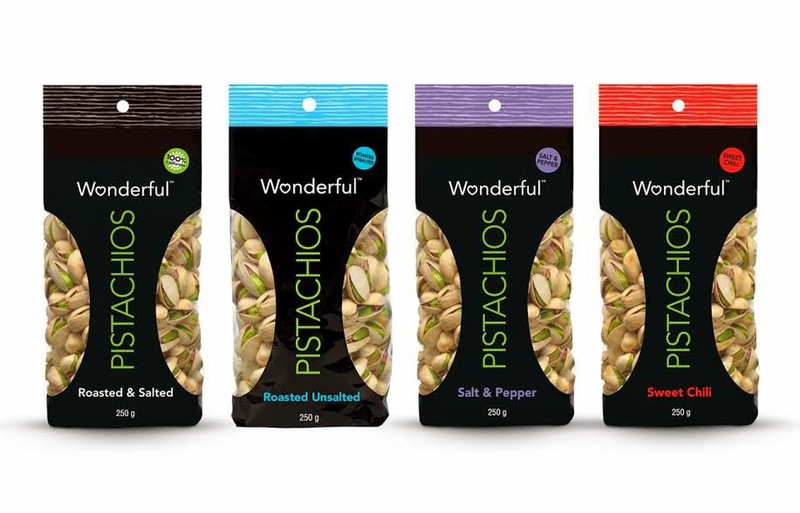 Melissa is a huge fan of Wonderful Pistachios. 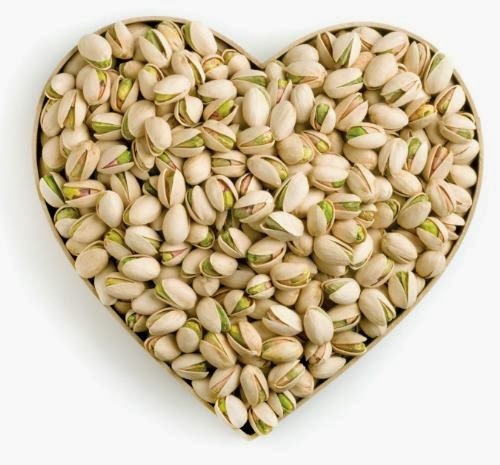 Pistachios are actually one of the lowest kilojoule and among the highest protein nuts, a 30-gram serving of pistachios provides more than 30 different nutrients, vitamins, minerals and beneficial phytonutrients. Here are some excellent foodie ideas for working them into your next party. A pop of colour; a pop of flavour. 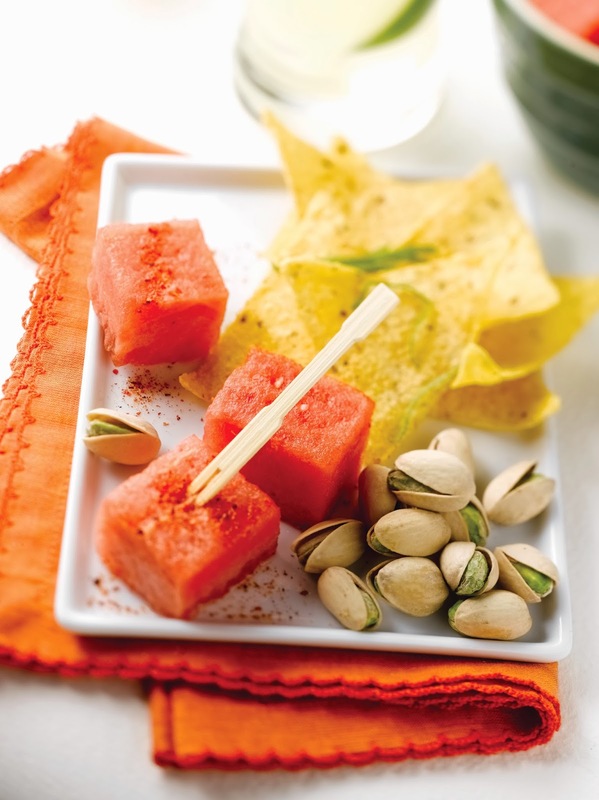 See how crunchy pistachios pop in Latin flavour combinations as they deliciously mix and mingle with the tart crunch of lime potato chips and the cool taste of refreshing watermelon lightly dusted with chili-lime salt. The spicy-sweet notes make for a can’t-get-enough combination. Accompany with margaritas or lime soda, and your fiesta will be popping in no time. How to serve: Fill colourful bowls with Wonderful Pistachios, chunks of fresh watermelon sprinkled with Mexican chili-lime salt, and lime potato chips. Try nestling the watermelon serving bowl in ice to keep the melon chilly and the presentation cool! Your guests will be raving about this pairing, so don’t be surprised to see this flavourful combo at their next party. 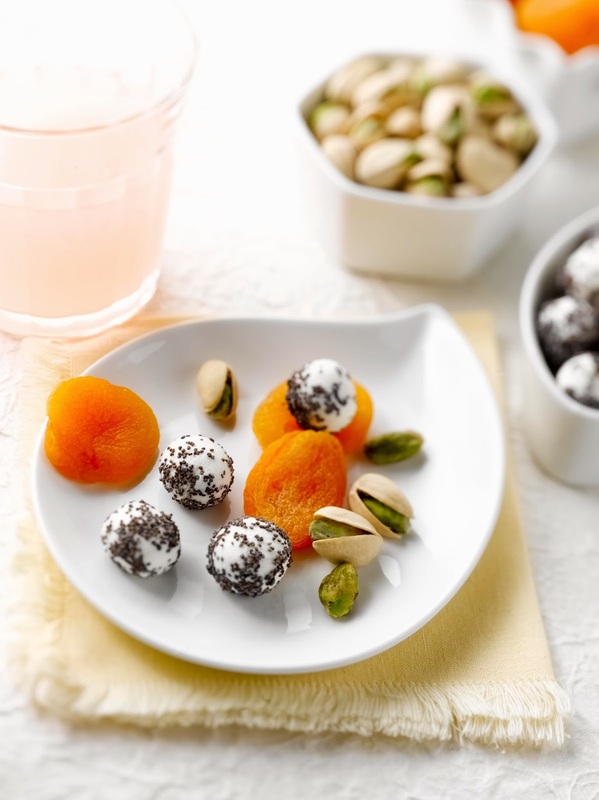 The creamy texture and buttery flavour of pistachios meld with the subtle goodness of Chevre cheese, an ideal pairing to the sweet dried apricots. The bright, citrusy flavours of the grapefruit beverage offer the perfect pairing to the creamy goat cheese and chewy, tasty apricots. How to serve: Roll soft Chevre cheese into marble-sized balls then coat in poppy seeds. Fill a bowl with Wonderful Pistachios and place in the centre of a platter surrounded with the cheese balls and apricots. Take the savoury-nutty flavour of Wonderful Pistachios up a notch with the spicy kick of wasabi peas and the salty crunch of rice crackers in this trinity of contrasting flavours and textures. Pair with a crisp, refreshing beer to chill out this uber-hot, uber-cool flavour pairing. 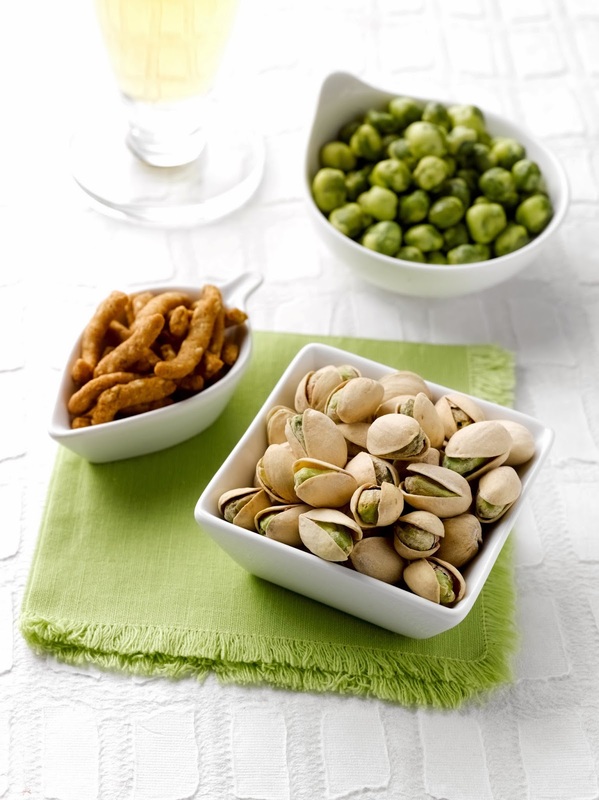 How to serve: Fill a trio of serving bowls with Wonderful Pistachios, wasabi peas and soy crisps…then, get ready to crack and crunch! 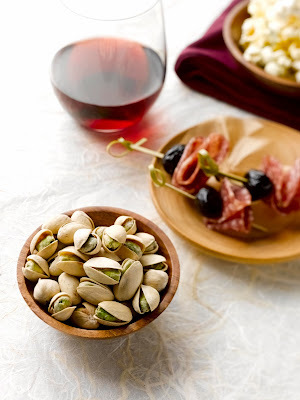 The subtle earthiness of pistachios really ignites when paired with its Mediterranean counterparts, popcorn and olive-salami skewers, rounding out this savoury snack trio. How to serve: Fill two bowls – one with Wonderful Pistachios and the other with salty popcorn tossed with a splash of extra-virgin olive oil. Skewer oil-cured pitted olives with slices of artisanal salami and serve on a small platter alongside pistachios and popcorn. Wonderful Pistachios are available at both Coles & Woolworths supermarkets.